Losing weight can be difficult without a healthy, balanced, low-calorie diet plan.To lose weight 10 kgs in a month, it requires great motivation and a strong control on your eating habits. To help you lose weight safely and permanently without starving, I have come up with a perfect low-calorie, highly nutritious diet plan and fat burning exercises that will overcome your weight problems and will make you feel fit, healthy, slim and beautiful. Just strictly adhere to this diet plan and the 15-minute morning workout for 30 days and see the difference in your weight. It is always best to start your day with 2 glasses of warm water to prevent constipation, eliminate toxins, stimulate blood flow, relax muscles and to control body fat. Detox drinks help flush away those stored unwanted toxins, stored up water weight and excess sodium from the body.It boosts your metabolism and helps your body burn calories at a faster rate.You can choose any one of the following detox drinks based on your body needs and also you need to follow this on a regular basis for a month to lose weight 10 kgs. 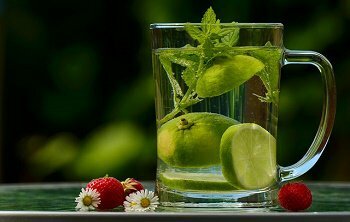 Lemon Detox Drink – Drink a Glass of warm water mixed with 1/2 freshly squeezed lemon juice and a tsp of honey(optional) for cleansing the liver and for weight loss. Ginger Detox Drink – Add 1 tsp of fresh ginger paste, 2 tbsp of fresh mint paste to a glass of lukewarm water and drink this every day to support fat loss. Cumin Detox Drink – Cumin together with lemon and honey works as a powerful fat-burning detox drink.Boil a tbsp of black cumin seeds to a glass of water.Filter the cumin water into a glass, add a tsp of honey and a 1/4th slice of freshly squeezed lemon juice.Drink this water to improve digestion and dissolve excess stored fat. Apple Cider Vinegar Detox Drink – ACV is a very effective way to detoxify the body and to lose weight 10 kgs fast.Add a tbsp of apple cider vinegar, 1/2 tsp of cayenne pepper in a glass of warm water and have this in the morning. Cucumber Detox Drink – A highly beneficial detox drink for those with acidity and hyperacidity problems.Blend peeled cucumber with a handful of mint leaves and a 1/2 inch of ginger.Add 1/2 tsp of black salt and enjoy. 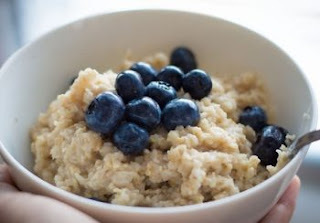 All the breakfast recipes under 250 Calories.You can choose anyone from the below list. Oatmeal : Oatmeal is the perfect healthy choice for breakfast.It is low in calories and high in fibre, this combination helps you lose weight fast.Take 1/2 cup of quaker oats, add 1/2 cup of hot skimmed milk, a small tsp of honey for sweetness and topped it with some chopped apple, strawberries, black grapes, and cherries. Egg Omelet With Green Tea: Egg is a low-calorie food packed with healthy proteins that keep you feeling satisfied for long.One large egg contains only about 78 calories.Green tea is a fat burning beverage.This combination boosts your metabolism and helps in fast weight loss.Make an omelet with 2 eggs, some chopped onions, tomatoes, and chilli and enjoy this with a cup of unsweetened green tea. Idli with Sambar (Indian Recipe) – This spicy Indian meal is the perfect addition to your weight loss diet.You can enjoy a homemade steamed 2 medium-sized idlis + 1/2 cup of sambar for breakfast.This combination contains around 230 calories. Apple Smoothie with Almonds: Apple smoothie is a fantastic and nutritious way to start your day.To make an apple smoothie, blend 2 medium sized peeled apples with a cup of skimmed milk, add a tsp of honey for sweetness and 1/2 tsp of cinnamon powder.Enjoy this smoothie for breakfast along with 9-10 almonds. Kellogg’s Corn Flakes – If you are a busy person and you don’t get enough time for breakfast, then you can eat a bowl of Kellogg’s plain cornflakes with 1/2 cup of skimmed milk, garnished with some chopped dry fruits.This contains a total of 200 calories. Vegetable Soup and Brown Bread – Homemade vegetable soup is an ideal way to lose weight and to provide essential vitamins, minerals and nutrients to the body.You can start your breakfast with a cup of vegetable soup and a slice of toasted brown bread.This breakfast combination contains less than 200 calories. Eating mid-morning snacks will keep you satiated until lunch and will help you eat less.All the mid-morning snack recipes are under 100 calories.Choose anyone from the below list. 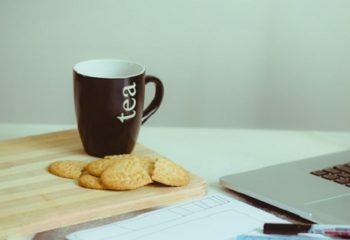 Green Tea with Marie Biscuit – Green tea and weight loss go hand-in-hand.A cup of unsweetened green tea with 2 Marie biscuit possess a total of 50 calories. Fruits – An ideal mid-morning snack would be a piece of fresh fruit.Fruits are high in antioxidants, vitamins, and minerals that improve your immunity and keeps your hunger at bay.You can have any one of these fruits: a small whole banana (90cals), 1 medium apple ( 80cal), papaya 1 cup (55 calories), watermelon 1 cup (46 calories), 1 whole small orange (45 calories), 1/2 cup of green grapes (55 calories). Hot Chocolate – Sipping a small cup of hot chocolate drink can help you lose few pounds and could keep your mid-morning hunger pangs at bay.The powerful antioxidants in chocolate reverse anxiety and cut your appetite up to 30 percent. All the lunch recipes are under 300 calories.You can choose anyone from the below list. Vegetable Soup – Soup is a delicious and nutritious way to fill your body with vitamins, antioxidants, and fiber.It gives a sensation of fullness without adding many calories. A big bowl of homemade vegetable soup contains around 140 calories.If you are lazy to make your own soup, you can try the ready-made Maggi mixed vegetable soup that contains around 98 calories for a bowl.Along with that, you can also enjoy 2 slices of toasted brown bread. 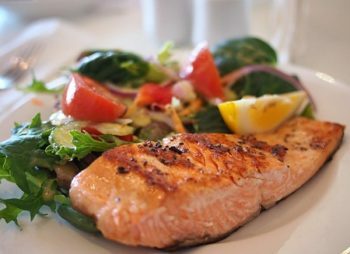 Grilled Salmon Fish with Steamed Rice – is a yummy way to satisfy your taste buds and hunger without adding more calories.One fillet of grilled salmon fish contains around 124 calories.You can relish this with 1/2 cup of steamed vegetable rice. Roti(Whole Wheat Chappati) with Vegetable Curry – A small roti contains about 71 calories, so if you’re a roti lover, you can enjoy 2 small roti’s with a cup of boiled vegetable curry cooked in a tsp of oil.To make curry use vegetables that are low in calories such as cabbage, cauliflower, broccoli, spinach, capsicum, beans, bottle gourd, etc. Egg Sandwich – You can have 2 slices of multigrain, sandwich bread stuffed with 2 egg whites, 3 onion slices, 2 tomato slices and a handful of fresh chopped lettuce leaf. Brown Rice, Dal & Salad – Brown rice has many healthy benefits over white rice.It is rich in fiber and antioxidants that help in weight loss.You can enjoy 1/2 cup of brown rice, 1/2 cup of dal and a small bowl of green salad for your lunch. Here are the 6 tasty and healthy evening snacks to satisfy your hunger for less than 100 calories.You can choose anyone from the below list. Lemon Tea and Wheat Rusk – Wheat rusk are healthier than biscuits.Two wheat rusks contain about 85 calories and a cup of unsweetened lemon tea has only 5 calories. Hard Boiled Egg and Green Tea – A protein boost in the evening can assist in weight loss.A hard boiled egg with a cup of unsweetened green tea contains around 85 calories. Nuts – are an excellent source of energy and nutrition.Nuts like almonds, pistachios and walnuts are the best choices for losing weight.You can have 12 almonds (85 calories) or 7 walnut halves ( 95 calories) or 20 pistachios (80 calories) to control your evening hunger. 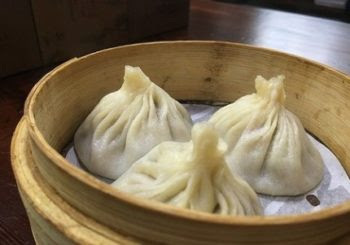 Momo(Dumpling) – Steamed vegetable momo is a tasty and healthy way to keep your appetite in control.A small vegetable momo contains around 30 calories, so you can enjoy few dumplings without exceeding the 100 calorie line. Orange Juice – Orange juice is the healthy way of getting your vitamin C and keeping calories under control.A glass of fresh orange juice just contains about 90 calories. Grilled Brown Bread Sandwich – This is another tasty evening snack for your hungry tummy.Half grilled brown bread sandwich stuffed with some onion, capsicum, tomato, lettuce, corn, and spinach contains around 90 calories. Dinner should be light and under 250 calories. 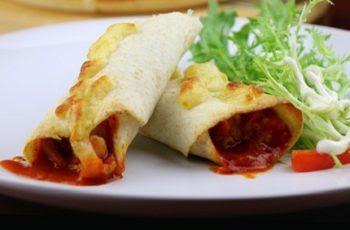 Homemade Whole Wheat Vegetable Wrap – Vegetarian wraps made with whole wheat makes a delicious, healthy and low-calorie formula for dinner.For stuffing use cabbage, low-fat paneer, carrot, onion, beans, and tomatoes. Chicken Noodle Soup – A hot bowl of chicken noodle soup makes a perfect, stomach satisfying dinner.A cup of homemade chicken noodle soup simply contains around 150 calories. Roti(Chapati) and Boiled Chicken/Soya Curry/Vegetable Curry – You can have 2 small-sized whole wheat chapati with 1/2 cup of soya bean curry or 1/2 cup of chicken curry or vegetable curry cooked in a tbsp of oil. A glass of warm water before bedtime can help us sleep better and lose weight simultaneously.It flushes out toxins while you sleep, relax muscles, rehydrates your body, aids better digestion of food and melts down body fat. Make sure to drink at least 9-10 glasses of water in a day to lose weight. Apart from following this low-calorie diet plan, it is important to have 15-minute of sound exercise daily to accelerate the weight loss process.For best results follow any one of the exercises in the morning after having the detox drink.